We have reached the halfway of the 2018/19 season in the most important leagues on the football scene. 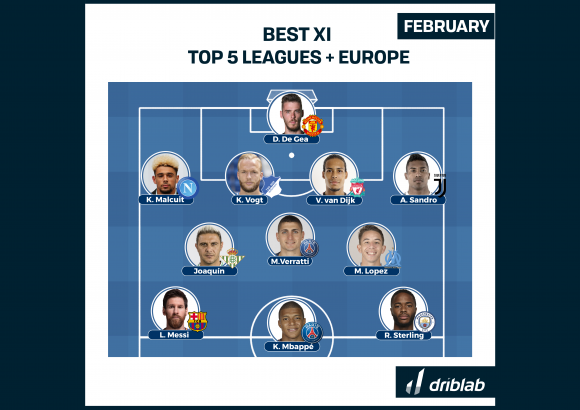 From Driblab we want to say goodbye to the year doing a review to the most outstanding names and the most relevant performances and the first delivery of this special is to see who have been the best: this is the ideal eleven of the big European leagues. 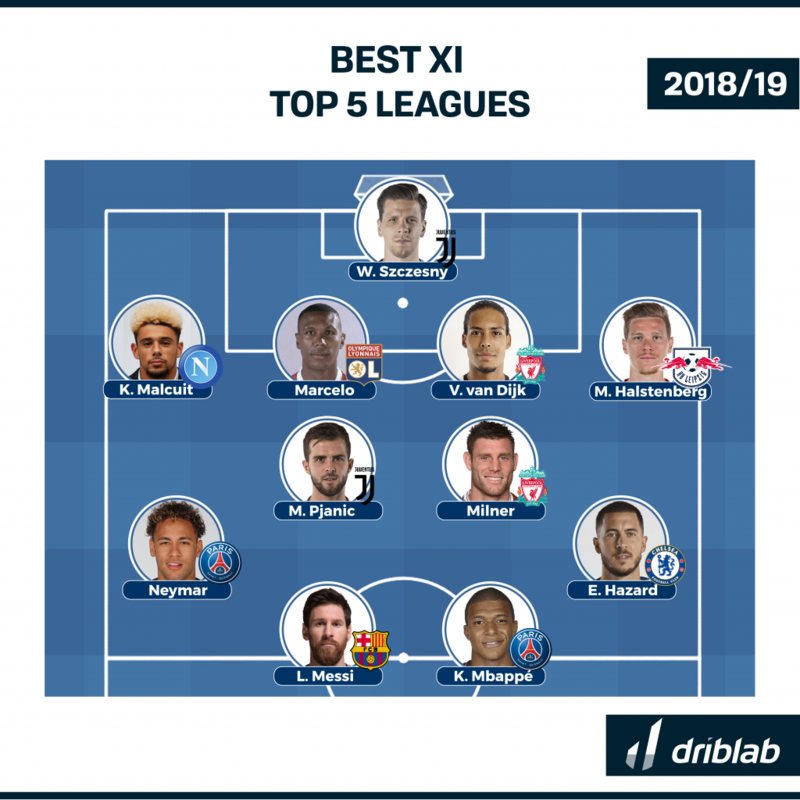 A small review of the eleven chosen by Driblab’s models and we will also mention the most outstanding players who have finally been left out of this ideal eleven. In goal, Wojiech Szczesny. The Polish keeper has been waiting for several seasons as a substitute for Gianluigi Buffon and is currently replacing him really well. Sometimes in the shadow of the big names in the Premier League’s goals but always performing, he is a vital part of explaining Juventus’ unbeaten Serie A streak. The defence shows some less common names such as Frenchman Kevin Malcuit who has been an undisputed piece at Napoli Ancelotti or centre-back Marcelo Guedes in Lyon. Also noteworthy is the presence of full-back Marcel Halstenberg, who is surprisingly one of the defenders who creates the most chances in top European football. 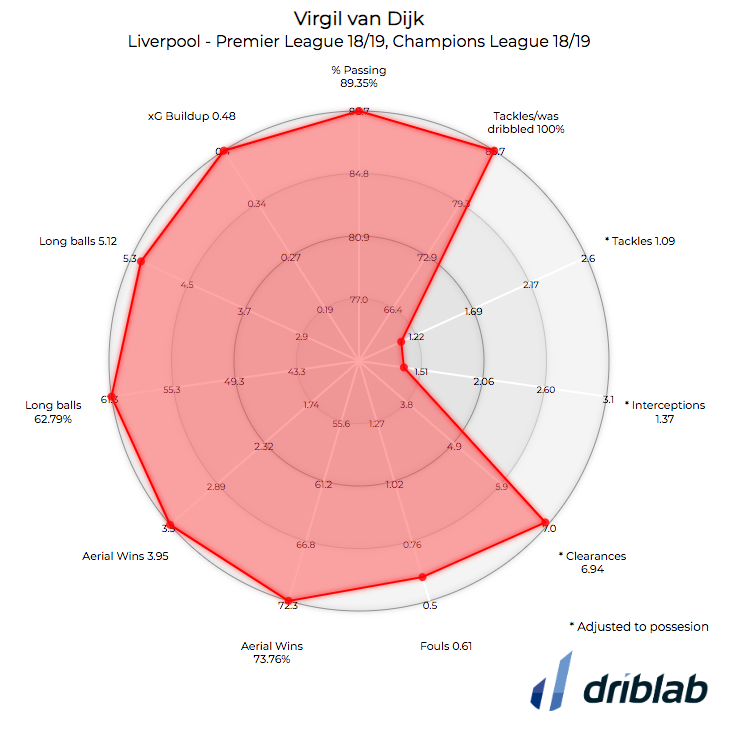 It is much less striking to see Virgil van Dijk in this line-up, in less than twelve months at Anfield has become the leader of a Liverpool that before his signing granted much more danger. In the middle of the pitch there are two names of their own that are not usually listed as stars in their teams but that demonstrate their importance game by game. 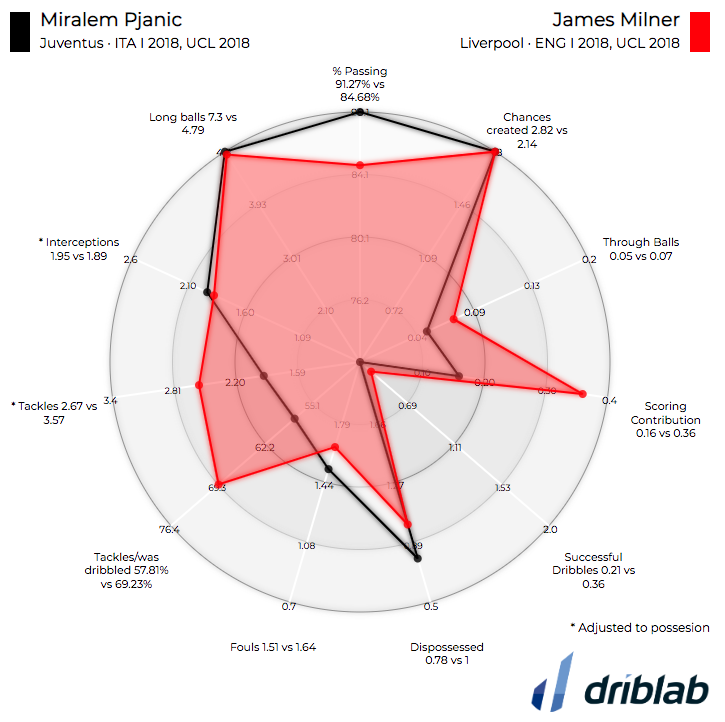 Miralem Pjanic being the brain of Juventus and James Milner solving problems without the ball and participating in any position in which he is needed. It’s no surprise to see Neymar and Eden Hazard, two of the best creators of chances in today’s football either through key passes or dribbling. Almost impossible to defend when they are at 100%. 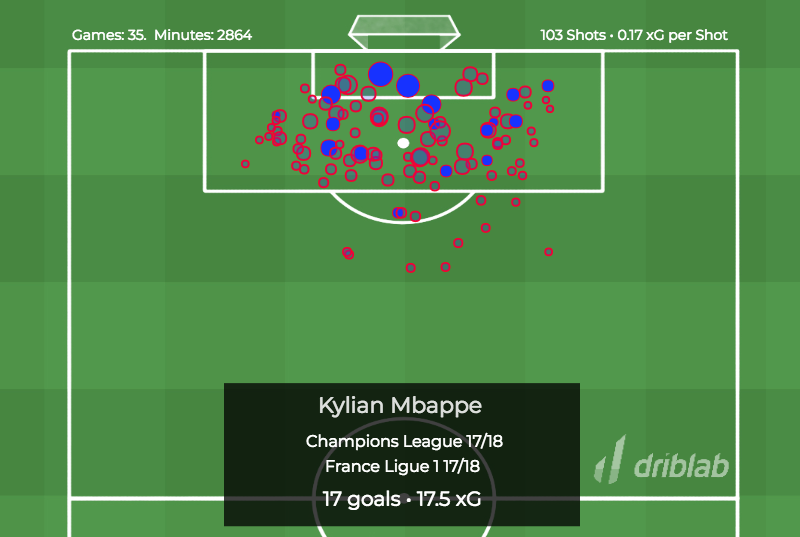 Above Leo Messi and Kylian Mbappé, two very different profiles but with spectacular numbers. The Argentine is having a sensational first half of the season both by goals and assists. At his side, the 20-year-old Frenchman who, far from being a promise, is already part of the elite: if last season he failed to finish better (17 goals without penalties of 17.5 expected goals) this year has taken a step forward (16 goals in 11.6 expected goals). 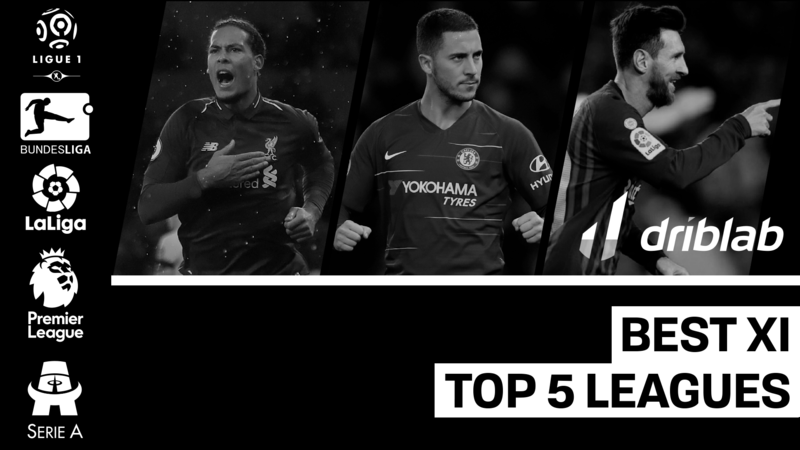 Last but not least, the likes of Alisson (Liverpool), Joshua Kimmich (Bayern), Thiago Alcantara (Bayern), Leroy Sané (Man City) and Dries Mertens (Napoli) have all narrowly missed out.